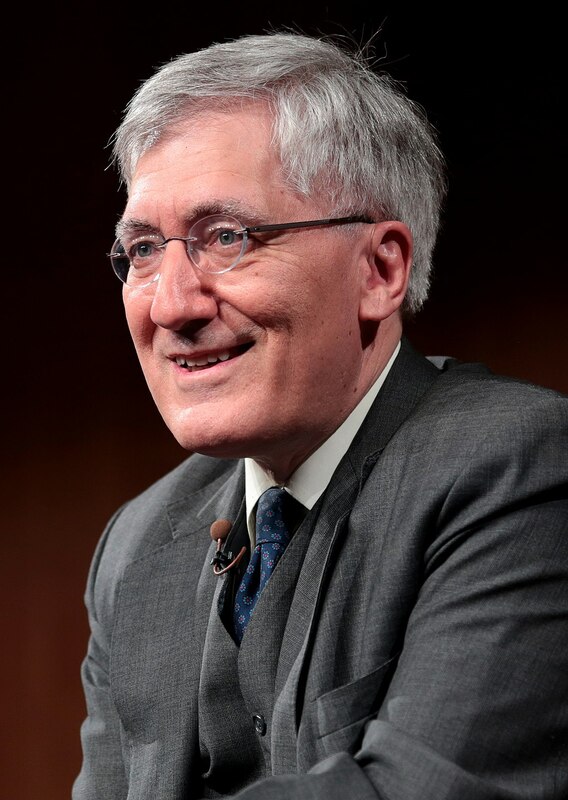 Patrick Henry College is excited to announce the class of 2019 commencement speaker is Robert P. George, Professor of Jurisprudence and Director of the James Madison Program in American Ideals and Institutions at Princeton University. George specializes in moral and political philosophy, constitutional law, bioethics, and the theory of conscience. George's exposition in contemporary natural-law ethic based in Aristotelian and Aquinian philosophies is the leading in the country. He has helped to develop a moral theory called "New Natural Law Theory," conceived by Germain Grisez. In the realm of legal theory, George has expanded criticism of legal positivism and anti-perfectionism. He has also applied New Natural Law to embryo-destructive research, abortion, euthanasia, capital punishment, sexuality, rights of conscience, and religious liberty. George is a graduate of Swarthmore College and Harvard Law School, and also earned a master’s degree in theology from Harvard and a doctorate in philosophy of law from Oxford. Along with these, he holds sixteen honorary degrees. Along with teaching at Princeton University, George also frequently serves as a Visiting Professor at Harvard Law School. He has also worked as the Chairman of the U.S. Commission on International Religious Freedom, and on the President’s Council on Bioethics, and as the U.S. member of UNESCO’s World Commission on the Ethics of Science and Technology. He was also a former Judicial Fellow at the Supreme Court. Satisfactorily completed the minimum total semester hours required for the selected major. Satisfactorily completed all general education requirements of the core curriculum. Satisfactorily completed all upper division credit hours. Maintained a cumulative grade point average (GPA) of 2.0 or higher overall. Maintained a 2.5 grade point average in the major. No grade in the major may be lower than a "C-". Earned a passing grade in all hours required for graduation. Settled all financial and disciplinary obligations, and returned all equipment and library materials to the College. Students may graduate at the end of any term in which they complete the degree requirements. A minimum of 45% of the credits earned toward the degree must be completed at PHC. Students alone possess the responsibility for completing all degree requirements. Faculty advisors, the Registrar, and other administrators are available to counsel students in their progress towards degree completion, but the final responsibility remains with the student. Want to view your PHC Commencement Ceremony? The Commencement ceremony is held each May. Information regarding eligibility to participate in Commencement is found in the College Catalog. The Registrar will assess and notify students who submitted the Application for Graduation of their eligibility status by the end of February. Conferral of a degree at Commencement will only be made to students confirmed by the Office of the Registrar to have completed all degree requirements. Patrick Henry College graduates will be honored for high cumulative academic achievement. Earned honors are reflected on official transcripts.